We highlighted a huge opportunity selling on Amazon FBA a couple of weeks ago with a step-by-step post on how to launch your own line of products. We got the details straight from a friend of mine that’s making five-figures a month with fulfillment by Amazon. 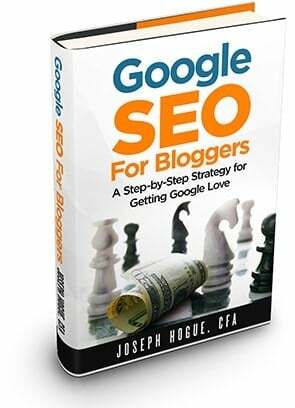 There’s actually another Amazon seller strategy making big money that may be even easier. Our last post meant going straight to the manufacturer, sticking your own brand on the product and selling it through your Amazon store. The other Amazon seller strategy is simpler and much more like the traditional model of reselling stuff online. I’ve heard it called a few names; Amazon arbitrage, reselling or just by the platform name Fulfillment by Amazon (Amazon FBA). Compared to our previous Amazon post, it’s a surprisingly simple process and can still make a lot of money. We’ll get into details below but the basic idea is going to the store to find items you can buy cheaply and resell on Amazon for a higher price. You take the price tags off and maybe put your own tag on the product before shipping it in bulk to one of Amazon’s fulfillment warehouses. You create an Amazon seller page on the site and Amazon keeps your products on the shelf until a sale is made. When someone buys one of the items, Amazon ships it and sends you the money after deducting its cut. Amazon FBA is one of the fastest growing segments for the company, helping it make more than $11 billion in cash last year. Amazon gets just a small portion of each sale so if it made that much money, you can imagine how much Amazon sellers made last year. I think I prefer the private label strategy for selling on Amazon a little better but the reselling strategy will be preferred by a lot of people. You might be able to make a bigger profit off each sale with the private label strategy because you’re getting your products from the manufacturer. You can also build your own brand and basically become a huge retail company. Amazon reselling is simpler and can be faster though. People already know and trust the brands you’re selling and you don’t have to worry about getting the products made and shipped. Either Amazon seller strategy comes with the huge online traffic and the credibility of the world’s largest e-commerce store. You could start your own website to sell your products directly but how long would it take to get to 87 million monthly visitors in the U.S. alone? By selling on Amazon, you also get their world-class shipping services and can offer buyers free two-day shipping on Amazon Prime. Check out both Amazon seller strategies to decide which you prefer. 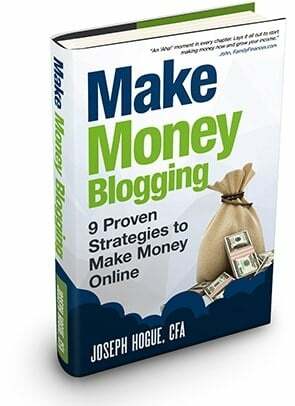 Either can make a lot of money and easily become a work from home success story. What Can You Sell on Amazon FBA as a Reseller? Starting as an Amazon seller is the same whether as a reseller or as a private label brand. You first create an Amazon merchant account which takes all of less than 15 minutes. We covered this in our prior post and it really is very easy so we’ll go straight to finding stuff to sell on Amazon. There are more than 200 million products for sell on Amazon in the United States. So yeah, you can sell pretty much anything on the site. The trick to being a successful Amazon seller is finding stuff you can buy in large quantities and then resell for more on the ecommerce site. Don’t worry, you don’t have to know how much everything is selling for on Amazon. There are several Amazon seller apps you can download on your smartphone to scan products in the store. The Amazon seller apps actually do a lot of the work for you, showing you how much people are selling it for and how tough the competition is to sell. One of the most popular apps is Profit Bandit. You just scan something at the store and the Amazon seller app shows you all the information about that product on the site. It will even show you an estimate for profit given product details and shipping costs. You can buy and sell one product at a time but it’s always best to buy in larger quantities, buying five or more of the same product to sell individually. Discount stores are going to be your best source of inexpensive products; stores like Walgreens, Wal-Mart and the $0.99 Store. You will also want to start checking out clearance racks everywhere you go and the nearest outlet mall. As with any business, it’s best to focus on a small group of products and learn as much as you can about them. Focusing on a niche like clothing, toys or home décor will help you learn how to spot the best deals and how to profit as an Amazon seller. You may also consider selling on a seasonal strategy, i.e. women’s gifts before Mother’s Day, home décor during the spring home buying season, toys during the Christmas shopping season. While the benefit from having your own website isn’t as strong with Amazon reselling as it is with the private label strategy, you can still advertise your products for sell on your blog. 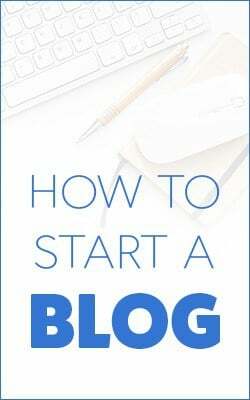 Check out how to create a blog in less than 15 minutes on Go Daddy. One of the biggest advantages of reselling on Amazon rather than selling on Amazon with your own private label products is that you don’t have to create your own product page. Your products will be available for sale along with everyone else that is selling that specific product. This means you really don’t have to worry about ranking your product to show up in search. As long as it has consistent demand and your price is competitive, you’ll make sales. The Amazon seller apps will show you all the prices of the product on the site, both from Amazon and from resellers. You don’t have to price your item at the cheapest on the list but you don’t want to price it above everyone else either. The cheapest priced item will generally sell quicker so if you price yours slightly above then it stands a chance of being the cheapest when lower-priced ones are sold. Amazon charges a per unit fee for each of your products that it stores in the warehouse and then ships on each sale. It charges a flat $1.06 per unit plus a fee according to the weight which is $1.24 for the first two pounds and then $0.41 for each additional pound of shipping weight. If your product weighed exactly two pounds, it would cost you $2.30 for Amazon to handle all your warehouse and shipping needs. Again, the app does a lot of the work for you. If you input the price at which you can buy and the price you want to list it for on Amazon, it will tell you the profit including shipping costs and fees. Adding your products on Amazon is just as easy as the other steps. Go to your Amazon Seller Central page and click on ‘Inventory’. 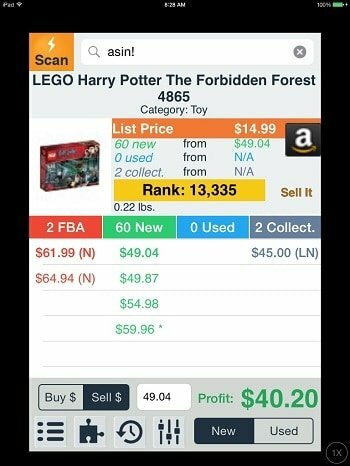 You click on ‘Add a Product’ and then search for your item by barcode or name. Once you’ve found the product page, you only need to decide your price, the condition it’s in and whether you want Amazon to handle shipping. If you are buying direct from the store then the condition will be new but always be honest if you’re selling used products. Buyers will quickly call you out with negative reviews if you mark something as new and it’s actually less-than-perfect. After checking the box to have Amazon handle shipping, you’ll be ready to package your products and ship them to the FBA fulfillment warehouse. If you are selling new products then you can go with stickerless, conmingled where Amazon just puts your product in a group of others without labels. Its faster for new products that are all exactly the same. FBA Label Service costs $0.20 per product but saves you a lot of time having to print out and fix individual labels yourself. Once you’ve got all your products listed in inventory, you are ready to ship them to Amazon to be stored until they sell. If you’re selling individual products then you’ll select ‘individual products’, otherwise choose ‘case-packed products’ to box lots of the same product together in one shipment. This is where you can really increase your profit by selling at least five of the same product and save by shipping it all in one box before Amazon unpacks and ships it individually. Finally, go to ‘Inventory’ then ‘Manage FBA Shipments’ and the ‘Continue with Shipping Plan’ to ship your products. You’ll select how many items will be in the box and print out a shipping label. You can pay for the shipping from Amazon by weighing the box or just estimating it with Amazon’s calculator. That’s where your work stops as an Amazon seller. Amazon will receive your package, unpack it and then ship it individually when someone buys it. How Much Can You Make as an Amazon Seller? You can start with as little as a few hundred dollars of products for sale. Since you won’t make a huge profit on each product, being successful as an Amazon seller means selling a lot of items every month. The best strategy will be to put almost all the money you make back into the business for the first three months. That means your starting costs plus your profits each month to buy more products for sale the next month. If you continue to make 35% in profits and buy $15,700 a month in products to sell, you’d make $5,500 in profit every month. You can see how the strategy really starts making money. Let it go even further than four months, continuously putting all your money back into buying products and you can build an even bigger stream of cash. Of course, being an Amazon seller won’t be as smooth as the above example. It might take longer than a month to sell all your inventory or you could sell out quickly. You don’t want to wait until you’ve completely sold out of inventory either but want to be continuously buying products to sell and keep your cash flow from stopping. Consider buying your inventory with credit offers or reward programs. You’ll get the miles or rewards from the purchase to add to your profit. Keep close track of your Amazon seller business with accounting software like Intuit Quickbooks. 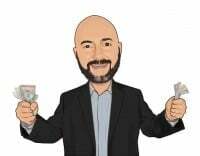 Make your Amazon FBA strategy a business and it will make money. Starting a work from home business as an Amazon seller is surprisingly easy and your biggest hurdle is just getting over the fear of failure. Start small with a few hundred in products just to get a feel for it and the selling process. 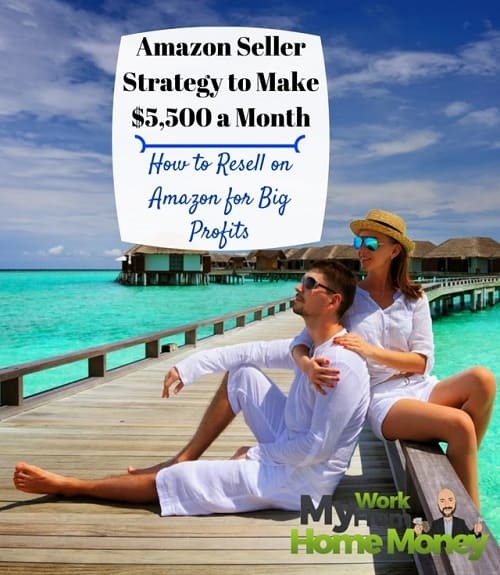 When you’re comfortable with how Amazon FBA works, you can expand out to more products and really start making money each month.